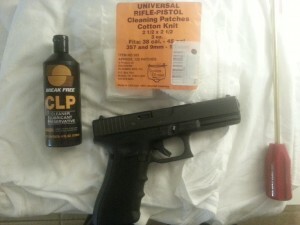 Breakfree CLP is inexpensive and goes a long way. It’s also the #1 selling CLP on the market. 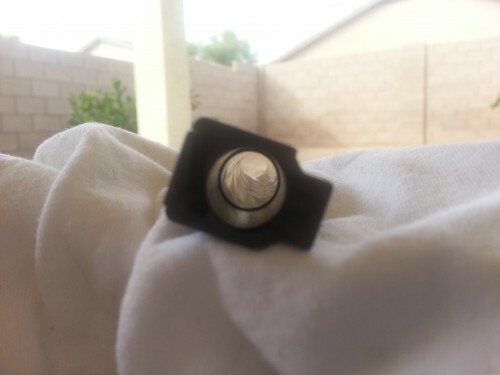 Here is my G22 barrel after 50 rounds of .40 S&W after being cleaned with Breakfree CLP. 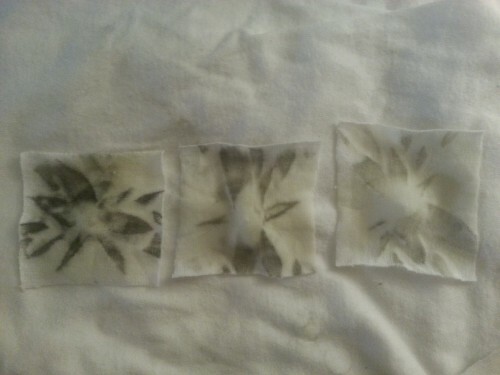 Does it look dirty to you? I pushed 3 patches with Breakfree on them through the G22 barrel. No brushing or scrubbing whatsoever. The 3rd patch is pretty clean…and so is the barrel. 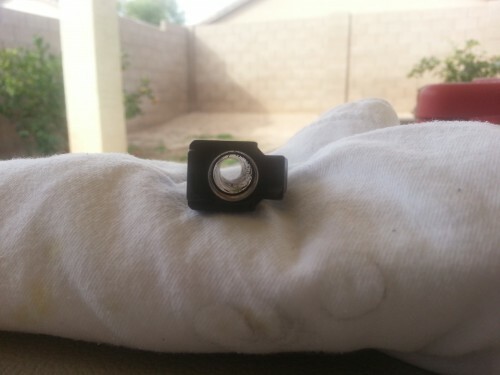 Here is the Glock 22 barrel after only 3 patches and BreakFree CLP. Total cleaning time….5 minutes.